This is a podcast about training how you want to exist in the world. Your training how to do this everyday. If you’re existing in a consistently negative state – angry, fearful, stressful – that’s the habit you’re unconsciously training. In 2004 ABC News Anchor Dan Harris had a panic attack on live TV and that experience eventually led Dan to meditation. 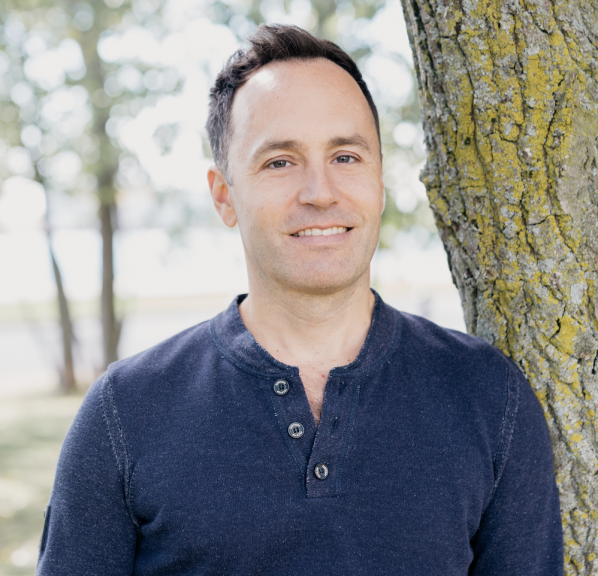 He then wrote a now best selling book about it called “10% Happier” and the fidgety skeptics follow-up, subtitled “A 10% Happier, How-To Guide” which explores why most people don’t meditate or can’t stick with it once they start. Jeff’s research for the book was a cross country tour with Dan, on a bus, with Jeff being the meditation teacher. They visited 18 states in 11 days meeting with a mix of people from line cooks to police officers, members of Congress, neuroscientists, military cadets and celebrities to better understand the obstacles people have to meditation. Jeff offered up best practices and life hacks designed to help people learn meditation. Hence why I have Jeff him on the podcast. 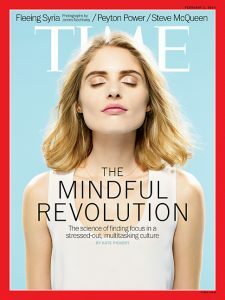 Meditation / mindfulness has moved – or is moving – into the mainstream. Especially if it makes the cover of Time. So I’ll assume you know that meditation, in and of itself, isn’t a religion and incense burning is not a requirement. Personally, meditation has been absolutely helpful to me, WHEN I do it, but it’s sometimes a struggle. Occasionally I can string together 10 days or so in a row (woowho!) but then I just drop it and it’s hard to get back into. So, Jeff agreed to talk with me about it and about the book. Thank God, I had a ton of questions. – What exactly IS meditation? – What qualifies as a “mindfulness” practice? – Is it reflection, relaxation, introspection, chanting? – Is there a minimum amount of time you need to do it? – Do I need to cross my legs, do I need yoga pants? 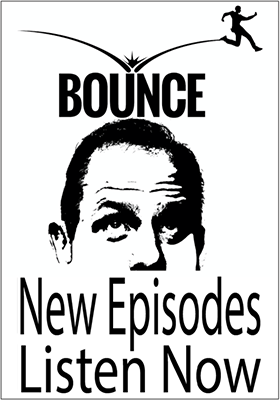 You need to listen to this podcast. Jeff describes himself as the anti-Buddha. He says he was meditations hardest test case. Ah, the perfect person to talk to about what meditation can and cannot do. Book The Relaxation Response by Herbert Benson M.D.